Of sandpaper, cricket balls and nerve agents. 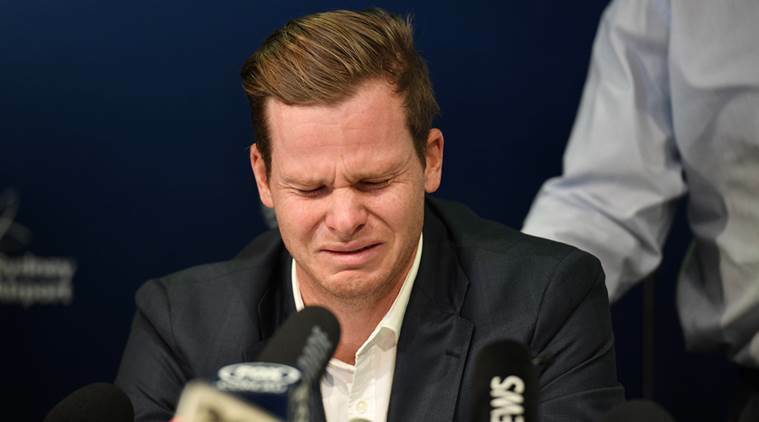 When the Australian Cricket Team was discovered to have cheated by scrubbing its balls with sandpaper, it resulted in a major sporting scandal, tearful press conferences and sackings. Although reprehensible, the worst consequence might be that a game could be lost or won unfairly. Compare that to what has happened in the alleged nerve agent attack on the Skripals in Salisbury on the 4th March, blamed on the Russians on the back of the flimsiest evidence. It is no exaggeration to say that any cheating here, risks not a game of cricket, but the destruction of human civilisation! I have made a modest assessment of some of the problems with this case in previous articles. With time and disclosures they appear to be getting much worse not better as is expertly summarised in the article below by James O'Neil. Many of the British Prime Minister and Foreign Secretary's assertions have been flatly contradicted. The consultant at the Salisbury Hospital has stated "no patients have experienced symptoms of nerve agent poisoning in Salisbury” contrary to Mrs May's assertion that over 40 persons had been treated. Note also that this suggests he believes not even the Skripals were affected by nerve agent! The Scientists and CEO of Porton Down are prepared to state only that the agent was of a "Novichok-type" and have no idea where it came from, other than a denial that it came from Porton Down itself. Further it refuses to reveal whether it holds samples of the material but we must assume that it does as identification requires a certain degree of comparison. Now we learn that Yulia made a phone call to her cousin Viktoria on the 4th April, when clearly she was lucid and recovering, and had been awake for over a week. She even added that "Daddy is fine" according to the Daily Mail. (As late as 22 Mar 2018 the government had claimed both Mr and Ms Skripal were unconscious in hospital in Salisbury and therefore unable to give their consent to blood samples being taken or tested). This and all the other circumstantial evidence of onset, time- line, sources of contamination and lack of illness to others provides doubt a nerve agent of this toxicity was even involved. In view of all this, Mrs May's assertions increasingly appear to be premature, inaccurate and bellicose. In fact the suspicion of a serious case of 'ball tampering' grows and grows, where the ashes that are at stake are real and devastating. It now just remains to be seen whether Mrs May and Mr Johnson will be forced to apologise with tears in their eyes? On 4th of March 2018 former Russian intelligence officer Sergei Skripal and his 33-year-old daughter Yulia were found on a park bench in Salisbury England at 16.15 hours in an unconscious state. They were tended to by a number of passers by who included a doctor, an off duty nurse and some civilians. It was not known at that stage what had caused the Skripal’s illness. No one had any reason to believe that they were the victims of any nerve agent, and accordingly took no precautions against such a possibility. Despite the very well documented dangers of even casual contact with nerve agents, none of those helpful citizens suffered any ill-effects. The Skripals were taken to hospital where they have remained ever since. The public were told that they were both in a coma and unable to communicate in any way. Yet on the morning of 7 March 2018 Yulia Skripal accessed the Russian equivalent of her Facebook page (VKontakte). There are a number of possible explanations for this. She may have briefly returned to consciousness and her first thought was to access VKontakte before relapsing. Alternatively her VK could have been hacked, but that would not have been easy and there is no known evidence to support this possibility. A third possibility, implicit in the words of her treating physician, was that she “came to her senses.” Precisely what that meant is unclear because it was never elaborated upon. The hospital authorities have disclosed that Yulia is now fully awake, eating, drinking and talking — and these and other questions may be able to be asked and answered. Precisely what we are told about Yulia’s answers depends upon who is allowed to talk to her. Another of the disturbing aspects of this case is that none of her family, her fiancé, or the Russian consulate authorities has been permitted access. This latter fact is directly contrary to the provisions of the 1963 Vienna Convention on Consular Relations. The British have pretended that this did not apply to Ms Skripal as she was a Russian national (unlike Sergei who had dual British citizenship) because article 37 of the Convention had not been incorporated into English law. (1) (a) A consular officer shall be entitled within the consular district to communicate with, interview and advise a national of the sending state and it may render him every assistance including, where necessary, arranging for aid and advice in legal matters. Notwithstanding this provision, which as the terminology makes clear, is not optional but mandatory, the British continue you to refuse the Russian consular staff their lawful access to the Skripals. In that same court case (NoB228376 & 13228382  EWCOP 6 Judgement 22 March 2018) the judge was also apparently not told by counsel that while the Skripals “appeared to have some relatives in Russia” they had not been advised of the application before the court, and neither were the Russian authorities. According to the judgement the Russians would find out about the court case after the event because the judge intended to publish his findings! Ms Skripal does not just “appear” to have relatives in Russia. She has her grandmother and also a fiancé with whom she was living. She also has a cousin, Victoria, with whom she has recently had a conversation according to Russian TV that has released a transcript of the discussion. The Russian authorities have also released copies of multiple requests made to the British government for consular access and other information. Not only were the requests ignored, contrary to the treaty quoted above, but the judge was not even informed that such requests had been made. The judgement ordering the taking of blood samples from the Skripals was for the purposes of technical analysis to try and determine what caused their illness, from whence the presumed nerve agent had originated, and possibly identified who might be responsible. Then again it might not, for a host of technical reasons. The point here however, is that the order was made on 22 March 2018 when the answers to those key questions were not known, unless of course the British themselves or one of their allies were the perpetrators. Both the Police who were inquiring into what was a possible attempted homicide, and the scientific investigation by both Porton Down and the technical team at the OCPW to whom the matter was eventually referred, said that the results would take some time and possibly weeks. Whether or not May appreciated it, such a statement amounted to her declaring that Russia had committed an act of war against the United Kingdom, contrary to international law. Her statements, together with those of her foreign minister Boris Johnson, carried hyperbole to extreme lengths. It immediately brings to mind the Mad Queen from Alice in Wonderland who demanded the sentence before the verdict. Davies told the newspaper that only three persons were being treated, presumably the Skripals and Detective Sergeant Bailey. Note that the physician was careful not to specify precisely what the three were being treated for, other than that it was not nerve agent poisoning. This rare example of sanity in the mainstream media was lost in the ongoing stampede to indict, convict and sentence Russia before all of the evidence had been gathered and analysed. The campaign of vilification against Russia was extended further by the British government circulating a six-page document to 80 foreign embassies in Moscow setting out their “case” for blaming Russia. That “case” was simply risible. Its manifold falsehoods and absurdities have been pointed out elsewhere (O’Neill Australia confirms its colonial status with expulsion of Russian diplomats www.journal-neo.org 5 April 2018). That did not prevent Australia and more then 20 other allies of the United Kingdom expelling diplomats on no further ground than giving their support to the British government and its absurd claims. Not even all of Britain’s NATO and EU allies and partners were prepared to jump on that particular bandwagon, not to mention the more than 160 nations in the world who dissociated themselves from the allegations. The means by which the Skripals became infected has also been a subject of constantly changing scenarios. At various times the nerve agent was said to have been brought into Britain in Yulia’s suitcase; that it was placed their car’s air system; and that it was placed on the doorknob of the front door to Mr Skripal’s home. Here again there were logical contradictions. The nerve agent was said to be up to 8 times more toxic than VX (a nerve agent of a type developed by the British and used in the Kuala Lumpur assassination of a relative of North Korea’s President Kim.) Yet that door was touched multiple times by police and others without them becoming infected. Even more problematic was the four-hour time gap between when the Skripals left their house and suddenly taking ill before being found on the park bench in central Salisbury. The word “suddenly” is apt because CCTV footage of pair 15 minutes before being discovered on the park bench shows them alive, seemingly healthy and walking along a Salisbury Street without difficulty after having a meal at Zizzi’s restaurant. If the claims of Novichok’s toxicity are true, then the front door handle could not possibly have infected them. If the nerve agent was so weak that it takes four hours to do its job of rendering targets dead or immobilized, then its utility as a weapon is less than useless. The weight of logic therefore points to them being infected at some point during the 15 minute interval between leaving the restaurant and being found. Unless either eyewitnesses come forward; the CCTV cameras caught the crucial moment; or the now recovered Yulia is able to shed light on what happened, it may never be possible to ascertain the perpetrators. On 3 April 2018 a further huge hole was blown in the British government’s case. The director of Porton Down’s defence science and technology laboratory told Britain’s SKY TV News that they had been unable to identify the source of the Novichok agent said to have been used against the Skripals. The sophistication of the agent used was such, Mr Aitkenhead said, that it could “probably” be deployed only by a nation state. While Russia might be presumed to have such capability, the same is equally true of the United Kingdom, the United States, France, China and a significant number of other states with advanced technical capabilities (Hayward et al www.timhayward.wordpress.com 1 April 2018). It would be unwise to hold one’s breath waiting for an apology from those politicians and a withdrawal of the reckless, unfounded and inflammatory statements. Instead, the mainstream media has either ignored the Porton Down statement and its implications, or they have been complicit in obscuring the original unequivocal claims of Russian culpability espoused by May, Turnbull and others (www.moonofalabama.org 4 April 2018). This dishonesty has been evident throughout this whole saga. The issue yet to be properly addressed by the investigation is who had the means, motive and opportunity to carry out what increasingly looks like a false flag attack, and a not very competent one that. A series of events occurred shortly before the attack on the Skripals that possibly provide some insight into the perpetrator’s motives. First, the so-called Russiagate witch-hunt, attempting to blame Russia for “interfering” (rich in irony) in the 2016 United States presidential election had spectacularly collapsed. That particular campaign against Russia had relied heavily upon a dossier produced by a “former” British spy named Christopher Steele. In the weeks preceding the Skripal attack it was revealed by Britain’s conservative newspaper the Daily Telegraph among others, that Sergei Skripal had links with Steele and another major player, Pablo Miller, in the Steele dossier saga when they worked together during the time of Skripal’s betrayal of his country. Miller also lived in Salisbury and was known to have had contact with Skripal. Secondly the Anglo American attempt at regime change in Syria through its terrorist proxies and others had failed miserably thanks largely to Russian and Iranian intervention. Those terrorist groups have being responsible for a number of false flag chemical weapons attacks blamed upon the Assad Government. With the liberation of Eastern Ghouta, the Syrian and Russian forces found a significant cache of chemical weapons materials. The Russians announced that those materials were clearly destined to be used in another false flag attack that would provide the justification for United States and its “coalition” allies, including Australia, to mount air and missile attacks upon Syrian and Russian forces. The chemical cache discovery, which received minimal coverage in the western media, was accompanied by a blunt warning from the Russian military command, that any such air and missile attack would be met with retaliation, including against the source of the attack. This was a clear warning to US ships and missile sites. The discovery of the chemical weapons and materials and the blunt warning were sufficient to deter any attack. Clearly however, the Anglo American forces were angered by their plans being thwarted. Thirdly, on 1 March 2018 President Putin addressed a joint sitting of the Russian Parliament. Part of that speech announced a range of new weapons that were years ahead of any western systems. Russia not only had the capacity to defend itself with its sophisticated S400 anti-missile systems, it could retaliate against any western military attack with devastating force, against which the west had no defence. Fourthly, despite a prolonged campaign of vilification against Mr Putin, he was overwhelmingly re-elected by the Russian people for a further six-year term. That result was entirely consistent with his level of popularity as revealed in opinion polls conducted by Western polling agencies. Those results did not stop the western media from a alleging that the vote was rigged, or that Putin did not allow real opposition, and some other desperate claims. The American analyst Gilbert Doctorow has written a number of articles demolishing the western media’s claims, although one is unlikely to see them given wider coverage. (www.consortiumnews.com 15 March 2018) Western “analysts” for the most part prefer the comfort of your own prejudices. In the light of these four factors, it is a reasonable hypothesis that the Skripal attack was a sign of the increasing desperation of some western governments, chief among them the United States and United Kingdom. The propaganda barrage and the pointless posturing over diplomatic expulsions gave those governments and others foolish enough to be taken in by their patently nonsensical allegations some brief self-satisfaction. The latest revelations from Porton Down however, are exposing that anti-Russia campaign for the shoddy and deceptive conduct that it is. In time, the Skripal incident will be placed alongside the Gulf of Tonkin, Saddam Hussein’s weapons of mass destruction, the attacks upon Yugoslavia in 1996, Afghanistan in 2001, Libya in 2011, and Syria in 2015 as examples of provocations justifying the destruction of societies that threaten Western hegemony. The Russia-China strategic alliance; the progressive de-dollarization of the world’s economy; and the success of defeats of Anglo American plans in Ukraine, North Korea and elsewhere indicate that the geopolitical balance of the world is changing rapidly. We now learn that two cats and two guinea pigs were in the Skripal's house. When a vet was allowed in (we don't know when) it is reported he found the two Guinea pigs dead and the two cats in a "distressed state" so he "euthanised" them. Now for the strange bit: they were all incinerated. Given the circumstances and the allegation of use of a nerve agent, the latter action is quite incredible. Even if they had to be put down to lessen their suffering - and the cause whether of a toxin or just neglect with their owners in hospital and the house shut up we are not told - the bodies would have been kept for examination as this could have provided important information. Yet more disconcerting detail. Who is currently actually employing nerve agents in the world? "How to explain this rampant Russophobia? Three important but little noted books provide much useful history and analysis: David S. Foglesong’s The American Mission and the “Evil Empire”; Andrei P. Tsygankov’s Russophobia; and, most recently, Guy Mettan’s Creating Russophobia, which equates it with “Russo-madness.” They examine many factors: ethnic peoples (now independent states with large diasporas) with historical grievances against both the Tsarist and Soviet empires; historical developments beginning in the 19th century; today’s American military-industrial complex’s budgetary need for an “enemy” since the end of the Soviet Union; other current anti-Russian lobbies in the United States and the absence of any pro-Russian ones; as well as other explanatory factors. All need to be considered, but for Cohen three circumstances are certain: Russian attitudes toward America are not historically or genetically predetermined, as evidenced by the “Gorbymania” that swept the United States in the late 1980s when Russian President Mikhail Gorbachev and US President Ronald Reagan tried to end the previous Cold War; the extraordinary demonization of Putin has attached itself to Russia; and Russophobia among American political and media elites—much less so among ordinary citizens—is another factor that has made the new Cold War so much more dangerous."